Do your kids love to play pretend? Quickly outgrowing the baby toys, yet not quite big enough for smaller-piece toys, it can be a challenge to find developmentally appropriate and safe toys for the 2-3 year old age range. 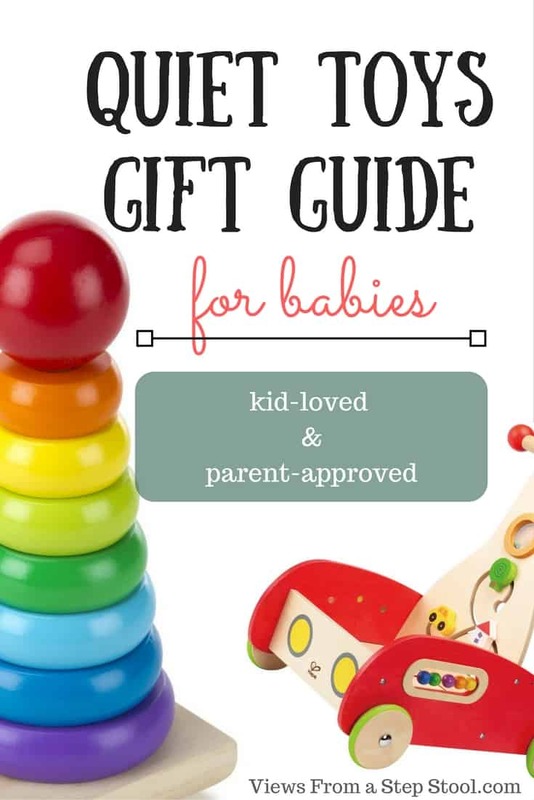 Notice that some of my favorite brands included are Melissa & Doug , Hape, KidKraft, and MiO, because of their amazing quality and durability. 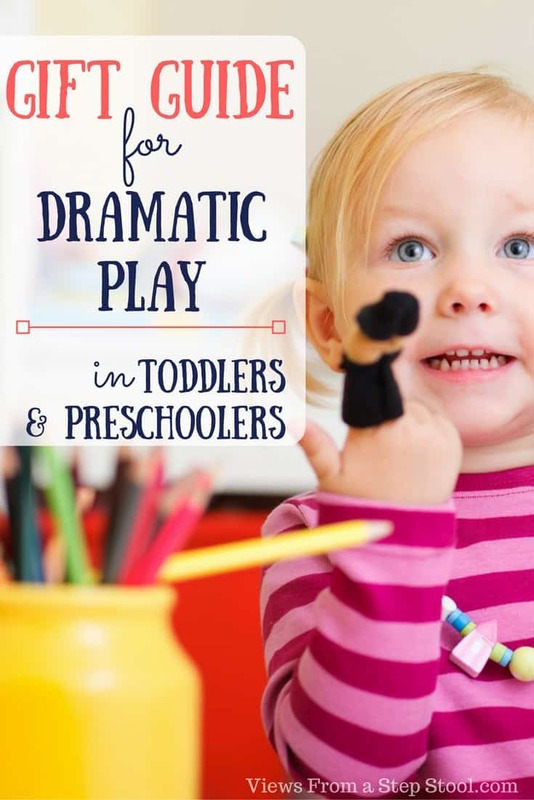 These dramatic play toys with get your kids playing creatively, and learning a ton! *This post contains affiliate links. Read more about this here. 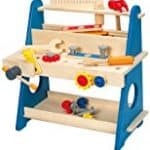 As a big proponent of learning through play, I have written before about the importance unstructured play and my affinity for wooden toys. While my kids do enjoy (and have more than enough of) the push-button, make-music type toys, I tend to prefer those that inspire creativity, imagination and dramatic play. So this gift guide is just that. Do you have any of these on this list? Any that you would recommend? I would love to hear! This is a great list! When my niece was little we were sure she was destined to become a chef. She had a huge play kitchen and we got her a bunch of the Melissa and Doug food sets. They are adorable and a gift that’s really hard to break! Excellent list, Katie! This is such a great list. My favorite thing about the holidays is buying things for my kids and seeing their excitement when they open it. 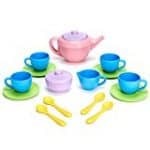 I LOVE that play kitchen and wish my boys would play more with things like that instead of always trains. Maybe we’ll give it a try. Love this list!! 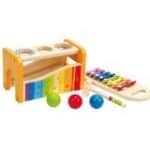 I just bought the pound and tap bench from Hape for my daycare boy. I LOVE Melissa and Dog toys. I feel they old up so well. The M&D mailbox is on my daycare bucket list. Thank you for all these wonderful ideas. Thanks for reading! He will love the pound and tap bench! One of my favorite things about the holiday is the decorations and lights. Everything feels so warm and special! I love this list. 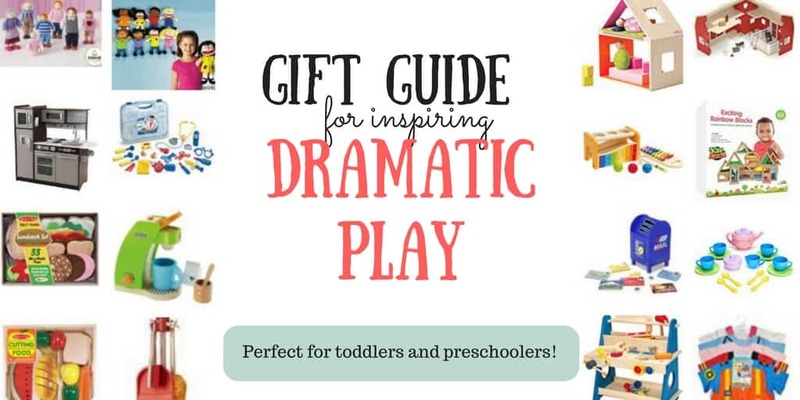 Pretty much anything Melissa and Doug is great in my book! Great list! My daughter would love the doctor kit. She’s obsessed! 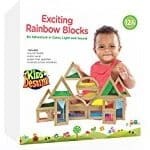 I’ve actually never tried anything from Melissa and Doug but it looks like a neat brand. Sometimes I wonder if we were separated at birth. Lol. 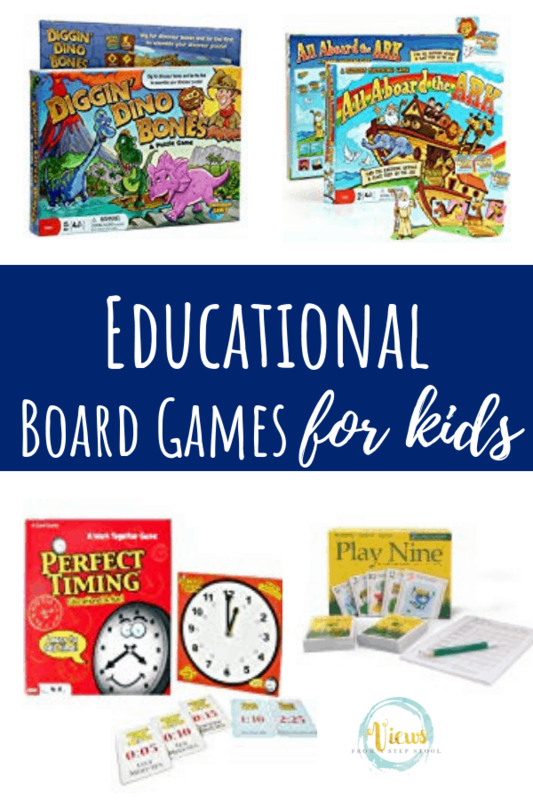 Hape, KidKraft and Melissa and Doug are some of my ABSOLUTE favourites. 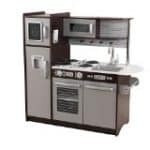 I think Santa will be getting my daughter a KidKraft Dollhouse (NOT the 4ft tall one from Costco though). 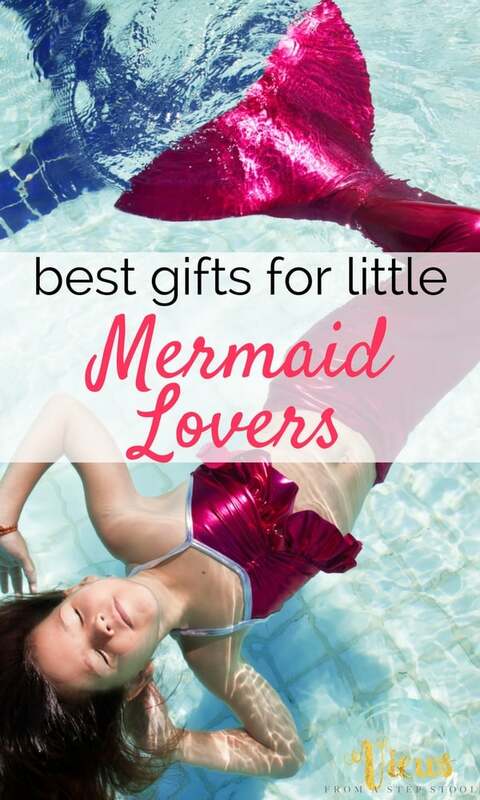 Love this entire list and am going to have to check out some of these toys that I didn’t know these brands made. 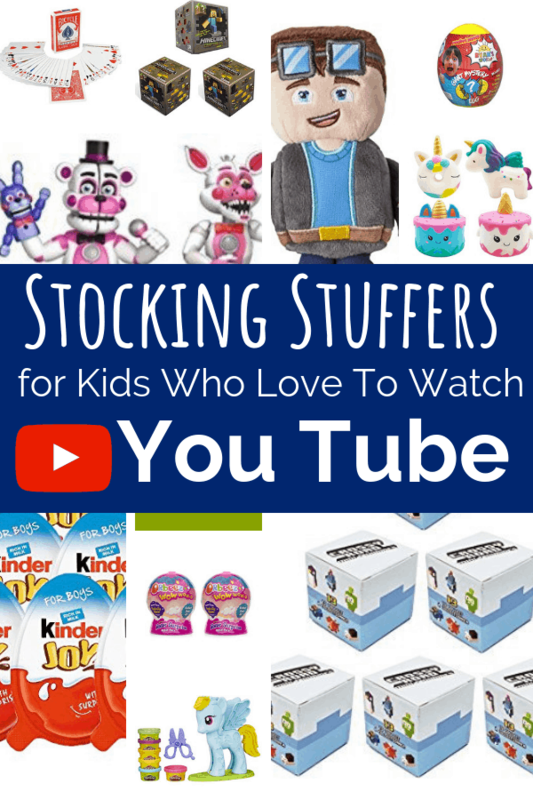 GREAT list of toys! I think my daughter would love the doctor kit and the barn! I entered your giveaway! Thanks! 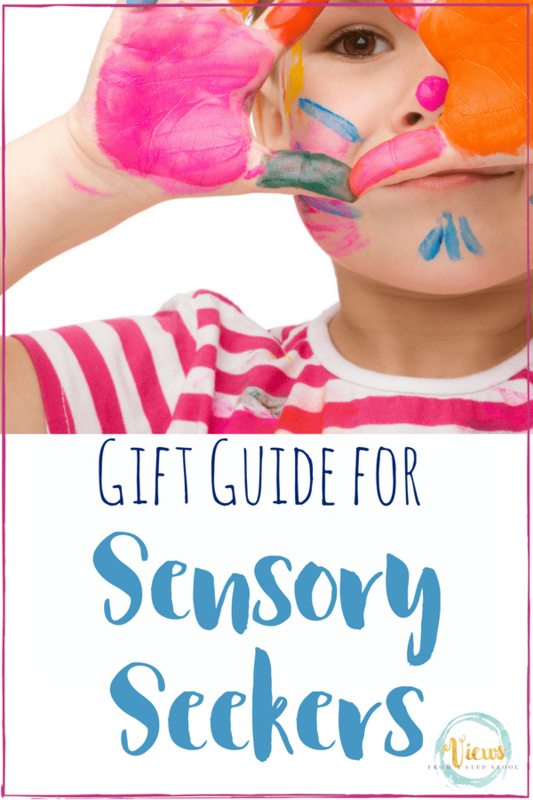 I love this gift guide!! I wouldn’t mind if my kids got any of these gifts! My parents got my daughter a play kitchen and I am so excited!!! I hope she likes it!! What a fun list! We have a couple of these and really love letting the kids get creative with toys like the medical kit, pretend food and music!